Originally from Bosnia, I have lived in Florida for 3 years, I love the beach! 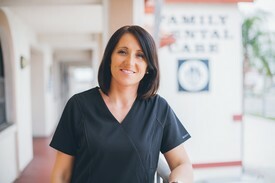 I have been in Dentistry for the past 12 years and I enjoy helping patients smile again! 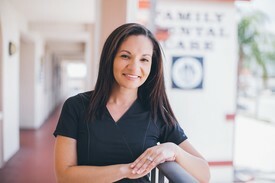 I have been a Dental Assistant for 9 years and I love to make our patients laugh and smile with my energetic personality. I was born in New York City and have been in Florida for the past 26 years. I enjoy spending time with my little family and am looking forward to the chance to travel more in the years to come. I was born in Virginia, raised in Rhode Island, and have been a Florida Resident for the past 27 years. 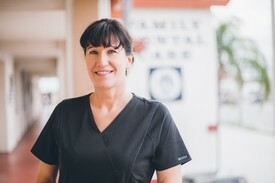 Beginning my dental career as a dental tech in 1986 and advancing to become a Dental Hygienist, I get great satisfaction from helping patients improve their oral health through home care and dental therapies. I love spending time with my family, traveling, vacation cruises, crafting and snorkeling.